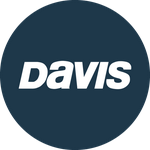 Davis Instruments Support, FAQs and Troubleshooting - (VIDEO) Davis Vantage Vue: What&apos;s in the box? All Categories ​>​ Videos ​>​ Weather ​>​ (VIDEO) Davis Vantage Vue: What&apos;s in the box? (VIDEO) Davis Vantage Vue: What&apos;s in the box? We show you what you'll see when you open the package of a Vantage Vue. This sleek and compact Davis weather station is trusted by meteorologists, gardeners, storm chasers, and weather enthusiasts.